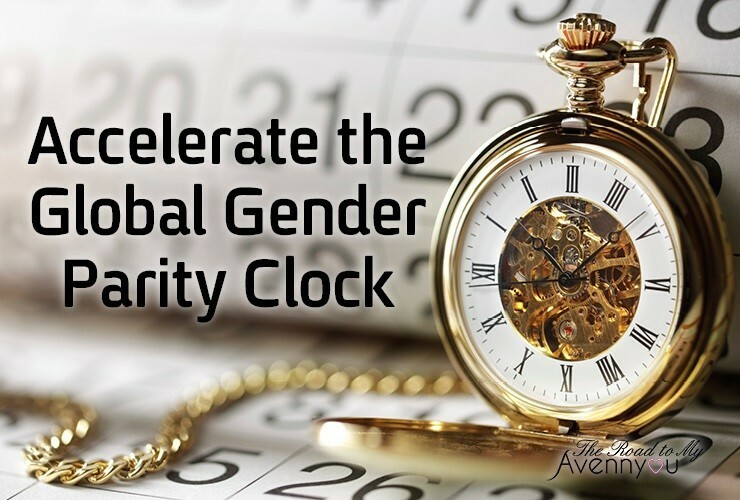 I was thrilled to stumble across this Ernst & Young (EY) endeavor to gather their resources, collective knowledge, experience, and influence in order to take part in accelerating the Global Gender Parity Clock. This initiative was launched as a result of the World Economic Forum’s (WEF) 2014 Global Gender Gap Report which estimated that gender parity in the workplace will only be achieved in 2095. Another 80 years, 4 generations until stereotypes, habits, and antiquated distinctions based on gender will no longer play a role in people's ability to contribute and influence. Having EY, one of the world’s "big four" accounting firms, embrace such a goal, replete with a plan, a name, and even an online dedicated presence, is another indicator that change is on the horizon. The initiative is called: "Women. Fast Forward." and its aim is to close the 60% gender gap in economic participation worldwide and to allow for the full realization of the talent and professional promise of women, hopefully, in less than 80 years. "So my question is, what are the real accelerators? What are the real circuit breakers that will actually create the dramatic change that we need? It includes more creative ideas, engaging men, using technology, getting rid of some of the unconscious beliefs that we have about who people are." Concrete steps to create a workplace that is more supportive of women. #ItsOnUs which was initiated recently to put a stop to sexual assault on women and girls and was given public support by Barak Obama at the Grammys a week ago. Victimization of women, girls, and boys based on gender intolerance is the extreme result of the same core problem and therefore should be treated in correlation. However, to make an impact, revolutions must start from the bottom: from the eco-system of every single household, the classroom, the neighborhood, small and large committees, and general organizations. As noted in the research above, in order to accelerate change men and women need to work together, not only in the workplace, to reinvent and reset gender roles, norms, and expectations. As emphasized by Laura Liswood, this undoubtedly requires the involvement not only of women but also of men. It has been stated by both the WEF and EY that bias too must be changed. Biases relate to customs, habits and expectations with deep roots in our everyday life and, as such, are difficult to change. Therefore, in order to fast-forward the change for equal opportunities, we must also focus on the softer sides of our interactions, the emotions that influence our choices. In my post End of Feminism? 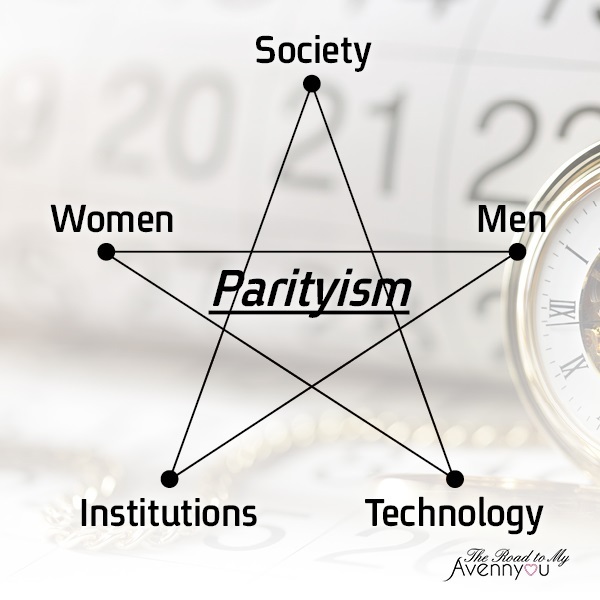 Time for Parityism I further discuss that while the feminist movement has worked wonders in so many aspects of women's rights over the past century, it may be time to change the strategy. You see, feminism joined the battlefield as an inferior opponent, first using tactics to get noticed by the other side as a legitimate party by, for example, creating a scene, picking on the enemy to the point of annoyance, and demanding affirmative action. These methods proved effective but also led to some undesirable results, such as the word "feminist" being chosen by the readers of Time Magazine as the word to be banned in 2015. Well, first, we are not two divided groups. We are two creating a whole, and so while tactically we had to fight for the redefinition of boundaries, strategically we need to find a long term solution based on the cooperation and mutual benefit of both genders. We must find a way to live in harmony and equal coexistence while mindful of our inherent discrepancies. Our leading decree should be that we are all important, indispensable parts of nature’s textured creation. Obviously, there is no single formula, and there are many aspects that need to be addressed and many ideas for improvement and advancing progress. I would like to offer my pentagram illustration in which each vertex represents a major player, showing the need for all to correlate and interact in order to enable change. First, women. Women need to be willing to embark on the change, not by declarations but by mindful actions. By becoming aware of their inclinations, women can both choose the occupation that best meets their needs and brings them satisfaction and fulfillment, as well as letting go of their compulsion to assume responsibility at home which leaves them with no energy for a career and no space for their partner to share the burden. Second, men. There will be a major breakthrough on the day when men realize that the decision to become parents includes the assumption of full shared responsibility for raising their children. That second job, the job traditionally shouldered by women in the home, should no longer be women’s alone. The building and nurturing a family should be a collaborative endeavor with none of the familiar division of roles. Third, society. Society's expectations play a significant role in the way we think and act as individuals. Women are often objectified and targeted, and thus feel guilty for not fulfilling their socially defined roles. Girls are raised to be good and to take care of their appearance. Boys, on the other hand, are raised to be goal-oriented, tough, and emotionally reserved. Until not very long ago, men were responsible for making money, women took care of the kids and the house; men were math and spatially- oriented, women were language arts; men were soldiers and fought wars, women were peace lovers and carers… and so the list goes on. Life in the 21st century presents humankind with different challenges from those of previous centuries, challenges that require the involvement of both genders with their inherent advantages. Fourth, institutions. While governments, organizations, and companies must all be a part of this change, significant responsibility should be taken by the education system. This problem should be tackled from both the top and the bottom of the age pyramid. From an early age kids should be instructed not only by setting examples at home of equal responsibilities and respect between parents but also by schools and other educational frameworks insisting on the same results from both boys and girls and treating them equally. There is no reason why equal performance in math and science until around six or seventh grade should change in favor of boys in the higher grades. As for adults, it is up to organizations and companies to follow EY's encouraging example and come up with more and better ideas of how to retain women’s positions even after they get married and have children. Fifth, technology. Technological changes may be the main force behind an accelerated process that was previously inconceivable. The fact that women nowadays are more educated, opinionated, and involved in consumption and trend evaluations should allow them not only to follow big data and marketing changes but also to dictate the pace and flow of events and techniques. It is therefore important to encourage more women to get and stay involved in the high-tech industry, not only as part of the work force but also as the leaders, founders, and entrepreneurs. Women are ready and eager for this change; both they and the other major players mentioned above understand that the realization of their potential in the workforce will benefit us all. Without such changes, we will not only miss out on potential economic growth and prosperity, but we will have to deal with other social deterioration such as questions regarding the necessity of marriages (as discussed in the All or Nothing Marriages post), the wellbeing of future generations with no parent accepting responsibility for their instruction, and overall family happiness. #ItsOnUs!